Two more studies found that higher levels of vitamin D in the blood are associated with better health outcomes - one study found a lower risk of breast cancer, especially among postmenopausal women, and in the other - better outcomes after a metastatic melanoma diagnosis. Vitamin D is an environmental and dietary agent with known anticarcinogenic effects, but protection against breast cancer has not been established. We evaluated the association between baseline serum 25-hydroxyvitamin D [25(OH)D] levels, supplemental vitamin D use, and breast cancer incidence over the subsequent 5 y of follow-up. From 2003-2009, the Sister Study enrolled 50,884 U.S. women 35-74 y old who had a sister with breast cancer but had never had breast cancer themselves. Using liquid chromatography-mass spectrometry, we measured 25(OH)D in serum samples from 1,611 women who later developed breast cancer and from 1,843 randomly selected cohort participants. We found that 25(OH)D levels were associated with a 21% lower breast cancer hazard (highest versus lowest quartile). Analysis of the first 5 y of follow-up for all 50,884 Sister Study participants showed that self-reported vitamin D supplementation was associated with an 11% lower hazard. These associations were particularly strong among postmenopausal women. In this cohort of women with elevated risk, high serum 25(OH)D levels and regular vitamin D supplement use were associated with lower rates of incident, postmenopausal breast cancer over 5 y of follow-up. These results may help to establish clinical benchmarks for 25(OH)D levels; in addition, they support the hypothesis that vitamin D supplementation is useful in breast cancer prevention. Vitamin D deficiency (≤20 ng/mL) is associated with an increased incidence and worse prognosis of various types of cancer including melanoma. A retrospective, single-center study of individuals diagnosed with melanoma from January 2007 through June 2013 who had a vitamin D (25(OH)D3) level measured within one year of diagnosis was performed to determine whether vitamin D deficiency and repletion are associated with melanoma outcome. A total of 409 individuals diagnosed with histopathology-confirmed melanoma who had an ever measured serum 25(OH)D3 level were identified. 252 individuals with a 25(OH)D3 level recorded within one year after diagnosis were included in the study .... A worse melanoma prognosis was associated with vitamin D deficiency, higher stage, ulceration, and higher mitotic rate. In patients with stage IV metastatic melanoma, vitamin D deficiency was associated with significantly worse melanoma-specific mortality. Patients with metastatic melanoma who were initially vitamin D deficient and subsequently had a decrease or ≤20 ng/mL increase in their 25(OH)D3 concentration had significantly worse outcomes compared to non-deficient patients who had a >20 ng/mL increase. Our results suggest that initial vitamin D deficiency and insufficient repletion is associated with a worse prognosis in patients with metastatic melanoma. A number of recent studies looked at vitamin D and various diseases. 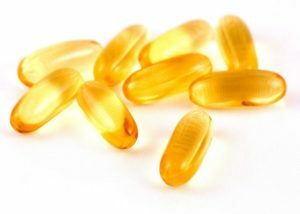 All showed benefits of higher vitamin D levels in the blood: lower rates of cancer incidence, improved heart function in those with heart failure, lower rates of leukemia incidence, lower rates of breast cancer, and less aggressive breast and prostate cancer. However, one study found no benefits to vitamin D supplementation during pregnancy and the child's asthma risk. Older studies found low levels of vitamin D linked to higher risk of premenopausal breast cancer, and also to thicker melanomas at diagnosis (the thinner the melanoma, the better the prognosis). Everyone agrees that sunshine is an excellent source of vitamin D, but there is still disagreement over what are the best daily vitamin D supplement dosages, or even what are optimal levels of vitamin D in the blood (measured as serum 25-hydroxyvitamin D or 25(OH)D). In 2010, the Institute of Medicine (IOM) concluded that levels lower than 12 ng/ml represented a vitamin D deficiency and recommended a target of 20 ng/ml, which could be met in most healthy adults (ages 19 to 70) with 600 International Units of vitamin D each day. Since then most researchers have argued for higher blood serum levels: most agreeing that over 30 ng/ml is best, while some advocating 50 ng/ml or more. But even what's too high (and could cause problems) is debated. Many vitamin D supporters now advocate taking 800 to 1,000 IUs of vitamin D daily (some say up to 4000 IUs daily is OK). Remember to look for vitamin D3 supplements, not D2. The new PLOS ONE study sought to determine what blood level of vitamin D was required to effectively reduce cancer risk....The only accurate measure of vitamin D levels in a person is a blood test....Cancer incidence declined with increased 25(OH)D. Women with 25(OH)D concentrations of 40 ng/ml or greater had a 67 percent lower risk of cancer than women with levels of 20 ng/ml or less. Garland does not identify a singular, optimum daily intake of vitamin D or the manner of intake, which may be sunlight exposure, diet and/or supplementation. He said the current study simply clarifies that reduced cancer risk becomes measurable at 40 ng/ml, with additional benefit at higher levels. "These findings support an inverse association between 25(OH)D and risk of cancer," he said, "and highlight the importance for cancer prevention of achieving a vitamin D blood serum concentration above 20 ng/ml, the concentration recommended by the IOM for bone health." A daily dose of vitamin D3 improves heart function in people with chronic heart failure, a five-year research project has found. The study involved more than 160 patients who were already being treated for their heart failure using proven treatments including beta-blockers, ACE-inhibitors and pacemakers. 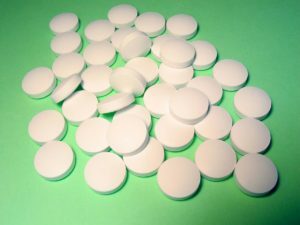 Participants were asked to take vitamin D3 or a dummy (placebo) tablet for one year. Those patients who took vitamin D3 experienced an improvement in heart function which was not seen in those who took a placebo....In the 80 patients who took Vitamin D3, the heart's pumping function improved from 26% to 34%. In the others, who took placebo, there was no change in cardiac function. Two recent clinical trials examined maternal supplementation with vitamin D and postpregnancy offspring outcomes for asthma and wheezing....However, with respect to preventing asthma in offspring, there is no clear evidence for vitamin D supplementation in pregnant women. Vitamin D deficiency at the time of melanoma diagnosis is associated with thicker tumours that are likely to have a poorer prognosis. Ensuring vitamin D levels of 50 nmol/L or higher in this population could potentially result in 18% of melanomas having Breslow thickness of <0.75 mm rather than ≥0.75 mm. A prospective study led by researchers from the University of California, San Diego School of Medicine has found that low serum vitamin D levels in the months preceding diagnosis may predict a high risk of premenopausal breast cancer. The study of blood levels of 1,200 healthy women found that women whose serum vitamin D level was low during the three-month period just before diagnosis had approximately three times the risk of breast cancer as women in the highest vitamin D group. Grapefruits, Orange Juice, and Melanoma Link? People who enjoy a glass of orange juice or some fresh grapefruit in the morning may face a slightly increased risk of melanoma—the least common but most deadly form of skin cancer. That's the finding from a study of more than 100,000 U.S. adults followed for about 25 years. Researchers discovered that those who regularly consumed orange juice or whole grapefruit had a higher risk of developing melanoma, compared to people who avoided those foods. Experts were quick to stress that the findings, reported online June 29 in the Journal of Clinical Oncology, do not prove that citrus foods help cause skin cancer. It is plausible, however, that certain compounds in citrus explain the association, said senior researcher Dr. Abrar Qureshi, chair of dermatology at Brown University and a dermatologist at Rhode Island Hospital, in Providence. Citrus foods contain particular "photoactive" chemicals—namely, psoralens and furocoumarins—that are known to make the skin more sensitive to the sun when they're applied topically, Qureshi said. "You'll see children get a sunburn in spots where a citrus popsicle dripped down the chin, for example," Qureshi explained. But even if citrus foods potentially make some people susceptible to sunburn, it's not orange juice that should be avoided, Qureshi said. "The citrus can't hurt you without the excessive sun exposure," he pointed out. So the message remains the same, Qureshi said: Protect your skin from soaking up too many rays by staying in the shade, using sunblock and wearing a hat. "I don't think the general public should make any changes based on this study," said Berwick, a professor of dermatology at the University of New Mexico in Albuquerque. For the study, the researchers analyzed data from two long-running studies of U.S. health professionals. Every couple of years, the participants answered detailed surveys on their health and lifestyle. Over about 25 years, more than 1,800 people developed melanoma and the risk was higher among those who regularly drank orange juice or ate whole grapefruit. That was true, the researchers found, even when several other factors were taken into account—including people's reports of their overall sun exposure and history of bad sunburns. People who had orange juice at least once a day were about 25 percent more likely to develop melanoma than those who drank the juice less than weekly. Similarly, people who ate whole grapefruit at least three times a week had a 41 percent higher melanoma risk, versus those who never ate it. On the other hand, there was no connection between melanoma risk and either whole oranges or grapefruit juice, the researchers found. Qureshi did offer a potential explanation for why only orange juice and whole grapefruit may be tied to melanoma risk. "There are different types of these photoactive compounds in different parts of the fruit," he said. So, it's possible that not all citrus fruits are alike when it comes to melanoma risk. Plus, Qureshi said, heat—like that used in pasteurizing juice—neutralizes the photoactive compounds. That might help explain why grapefruit juice was not connected to melanoma risk.